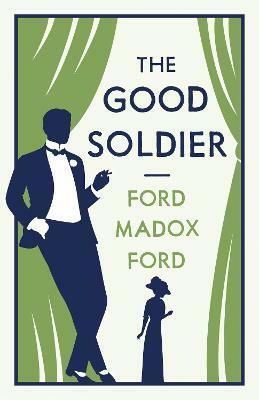 The Good Soldier tells the stories of two outwardly happy couples who meet at a health spa in Germany just before the start of the First World War, and whose loveless, adultery-ridden relationships are strained and gradually disintegrate, with tragic consequences. Drawing inspiration from his personal life, Ford Madox Ford innovatively used non-chronological flashbacks as well as an unreliable narrator to reveal the scandalous affairs, lies and betrayals behind the facade of respectability, and craft a masterly work of fiction and a subtle investigation of the notions of truth and deception. Ford Madox Ford (1873-1939) is remembered as one of the most eminent figures in early twentieth-century English literature. He is best known for his novel The Good Soldier and for founding the journals the English Review and the Transatlantic Review, which under his editorship published the work of many of the greatest writers of the era.